Local governments play an important role as the main contact point for citizens and deliver many more and varied services than any other public administration. Nevertheless, the field of local e-government services (or local e-administration) lacks benchmarking methodologies and rigorous surveys. Existing e-government benchmarks mostly address the national level and do not cater for this wealth of locally provided e-services. Cities are also very diverse, but research shows that European cities share an important number of common services, making benchmarking look feasible. The paper proposes a benchmarking methodology to fill this gap, facing the complexity of this multiplicity and variety. It starts by a bottom-up hierarchical catalogue of services created through participation of the cities. The benchmarking goes beyond service provision, so far measured through maturity, and analyses acceptance by users. The paper discusses the parameters introduced and how to measure them. The paper addresses the issue of the presentation of the results, which is important to help city managers to improve the service provision, its quality and acceptance. The methodology was applied in a pilot study of 15 quite diverse medium and large European cities, and its results are presented within the context of validating the methodology introduced. 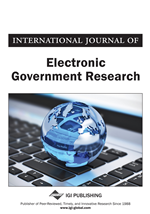 Both practitioners and academics have been interested in benchmarking e-government services because e-services together with official websites are amongst the most visible parts of e-government (Janssen, 2003) and have a high impact on the constituency through the use of electronic channels. They play a front-end role in public administration, and that maintains e-services at the focus of policy-makers and public managers. There are well accepted e-government maturity models or stage models that make easy to perform a maturity assessment of e-services provided. As a lot of academics pointed out (Janssen, 2003; Kunstelj and Vintar, 2004; Griffin, Foster and Halpin, 2004; Heeks, 2006; Lee, 2010) these models measuring service sophistication are well known, comprehensible and simple to apply, and are thus widely used in benchmarking.